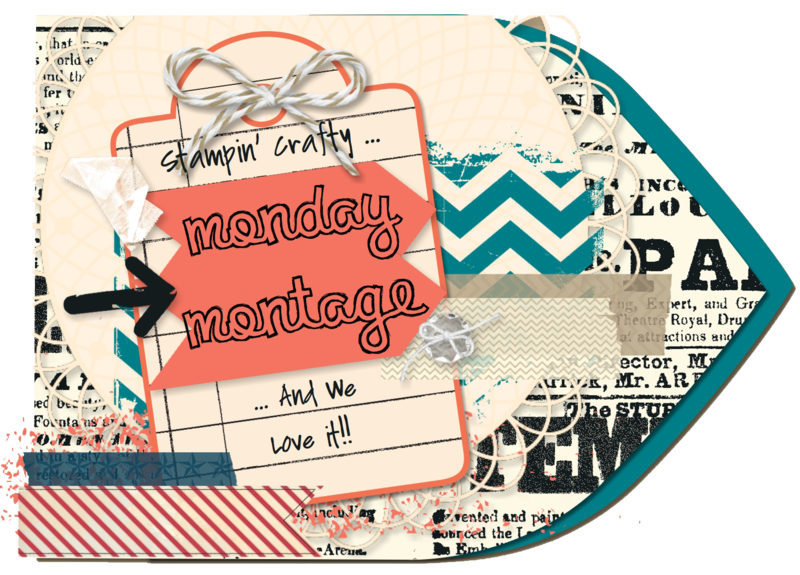 Can you believe its is already time for another Monday Montage Blog Hop?!?!?!?! I love being able to hop with these awesome ladies, and I hope you enjoy it as much as we do. 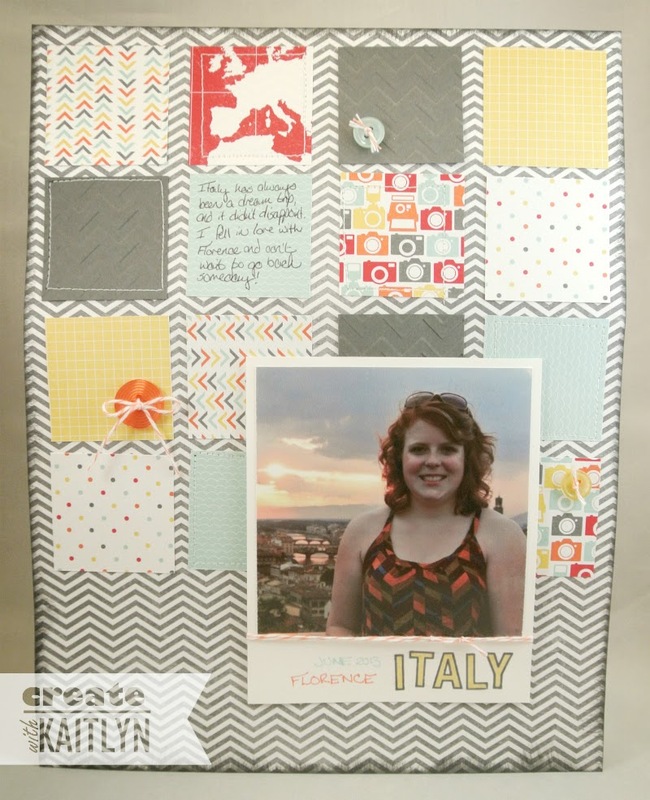 The project I have to share with you today is actually another scrapbook page using one of my favorite pictures from my trip to Italy last year. This picture was taken from Piazzale Michelangelo, overlooking Florence at sunset. I cannot describe how gorgeous it was, but I love this page as a way to remember it. On this page, I used the I Am Me Designer Series Paper. This paper has some awesome patterns for traveling with the cameras and world map (it also has a suitcase pattern). I trimmed the world map pattern down to just the part that had Italy! I ended up going with an 8-1/2" x 11" page, so the squares are 1-3/4". 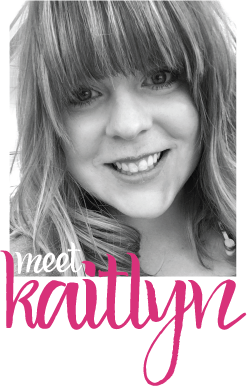 I made the picture look like a polaroid by matting it with Whisper White Card Stock that was slightly longer. This created the perfect spot for me to stamp "Italy" using the ABC-123 Alphabet Outline stamp set. I kept the embellishments pretty simple. Just some coordinating Subtles Buttons, Calypso Coral Baker's Twine, and stitching around a few of the squares is all this page needed. Also, one of the squares provided the perfect spot for journaling some of my thoughts! 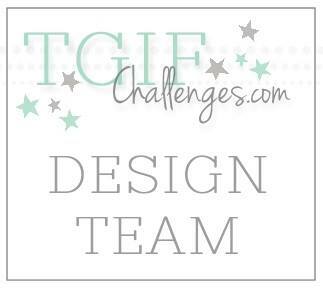 Be sure to click the "Next" button below to head on over to Melissa's blog! I love this page! 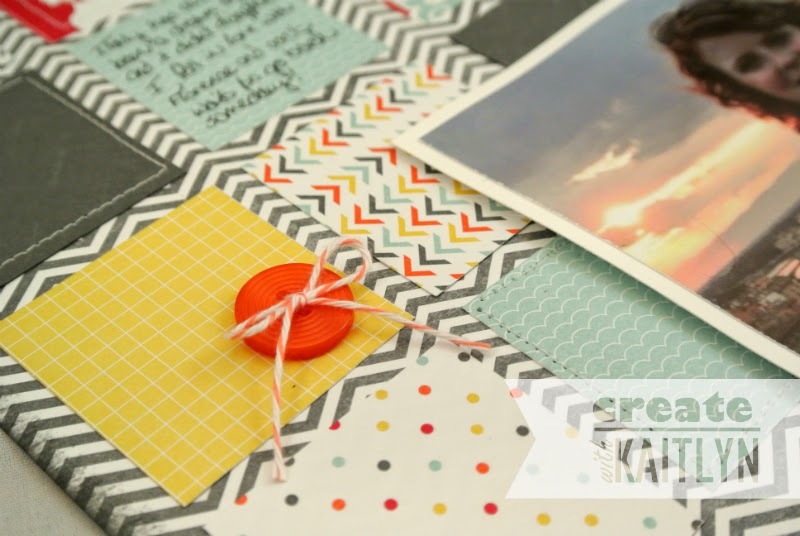 I mostly do 8 1/2 x 11 scrapbook pages so I am always drawn to cute ones that I can CASE! This page is on my CASE list! Very nice...what a great way to celebrate your memories of a wonderful trip!